Nice Review by Andrew Chalk of CRAVEdfw of a Winegrowers of Dry Creek Valley roadtrip to Texas that our wine brand Estate 1856 participated in! 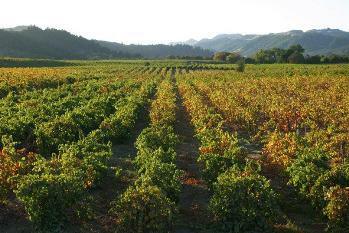 As well as Zinfandel, Dry Creek excels at Grenache, Cabernet Sauvignon and Sauvignon Blanc. These grape varieties were on show too. The variety of grapes is the product of the diverse terroir in the area. Although only about 16 miles long and two miles wide (anchored by lake Sonoma in the north and and Dry Creek and the Russian River in the south) there are three distinct territorial characters in Dry Creek Valley: the hillsides, benchland, and valley floor. Sauvignon Blanc thrives on the valley floor due to the mineral-rich sandy loam soil. Cabernet Sauvignon is especially suited to the benchlands, due to the clay loam that predominates. Zinfandel, with 2,400 of the 9,000 planted acres of vines, is grown on the hillsides where igneous, gravelly soils are found. Estate 1856 may be a winery, it may be a skunkworks*, but their 55-case production 2011 Cabernet Sauvignon is all dark fruit, spices and 100% French oak. This wine is 97% cabernet Sauvignon……with the rest comprised of Petit Verdot. Likely to age for a decade. Hopefully one result of their visit will be more retail distribution of their wines. If they are not findable, order direct from the winery web site. Dry Creek makes exceptional wines that will add considerably to your wine enjoyment. *A skunkworks is a group of people who, in order to achieve unusual results, work on a project in a way that is outside the usual rules. A skunkworks is often a small team that assumes or is given responsibility for developing something in a short time with minimal management constraints. Typically, a skunkworks has a small number of members in order to reduce communications overhead. A skunkworks is sometimes used to spearhead a product design that thereafter will be developed according to the usual process. A skunkworks project may be secret. Definition provided by the online Urban Dictionary!